In recognition of depression awareness month, Phi Omicron Zeta Chapter sponsored its first Depression Awareness seminar. 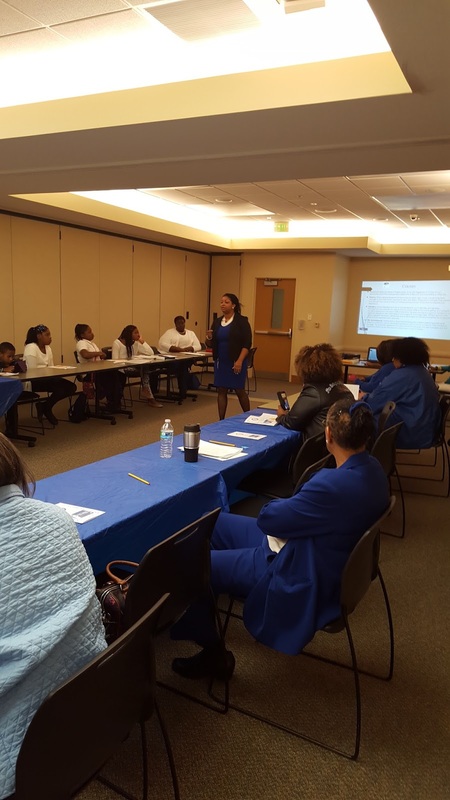 The seminar was held on Saturday, October 17, 2015 at Rockdale Medical Center. The presenter was one of the chapter’s own, Soror Tequilla Pittman. She is a licensed clinical social worker, who has practiced in the field of mental health for several years. The seminar was well attended by Sorors, Amicae, Archonettes, Amicettes and the public. The seminar covered specific types of depression, to include the effects, signs, symptoms and different treatment options. Soror Tequilla Pitman provided interactive tools such as “Depression Bingo” to engage the audience and enable them the opportunity to ask questions. Several individuals shared personal testimonies about loved ones who suffered from depression and one that committed suicide due the seriousness of this illness. What did you like most about the presentation? As this chapter continues to do the work of Zeta, it is their hope to continue to Help Other People Excel.